What describes your friendships: Are they sweet, safe and enduring? Or are they complex, unsteady and disposable? In this session, we unearth a treasure chest of insight as we explore the biblical legacy of Prince Jonathan. Your friendships can take a delightful turn as we discover and administer the cure for the common friendship! Living in fear of the opinions of people is a difficult and dangerous way to live. It leaves us vulnerable to harm, sin and insecurity. Thankfully, this is not God’s design for our lives and He offers a solution. In this session we discover the biblical mandate to live with a “holy disregard” and rise above the fear of man! Often we come to God seeking wholeness, deliverance and joy, all the while expecting the process to be spectacular, effortless and immediate. By expecting God to work in a certain way, we may be missing the ordinary ways He chooses to heal, deliver and delight. In this session, we walk through a dramatic, biblical narrative and uncover the simple cure we can enjoy through small obedience! 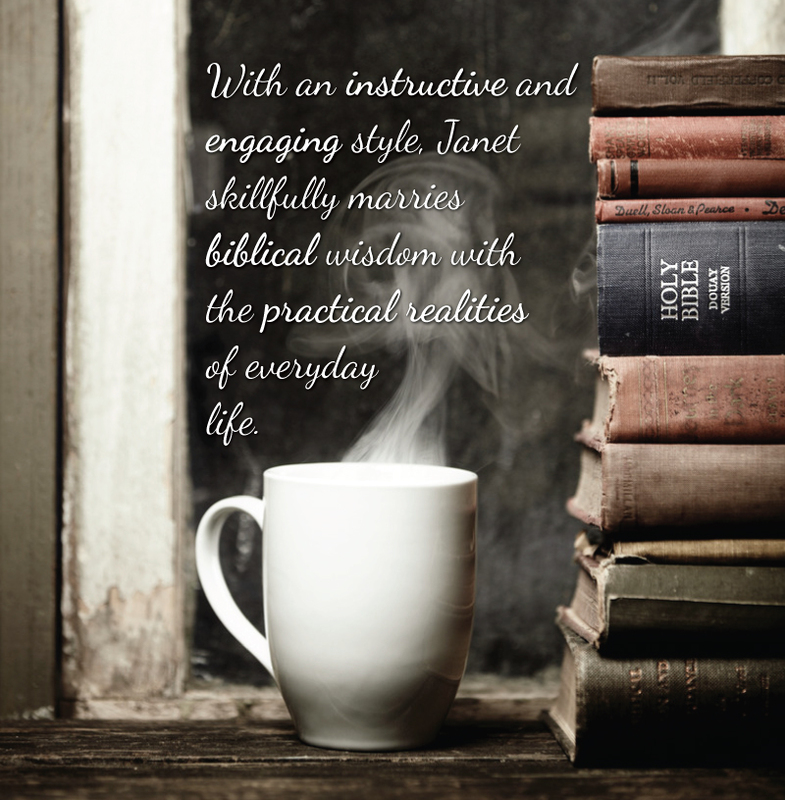 Biblical mentoring is a powerful tool for spiritual growth, yet few women are experiencing the blessing and maturity these relationships can produce. In these sessions we will explore biblical models of mentoring to uncover its importance, its design, its content and how we can overcome the barriers that keep us from pursuing these transforming relationships. God’s wisdom has incredible preserving qualities. It both keeps us from great harm and keeps us for great delight. So why are many in this generation sadly overlooking it? In these sessions, we explore the breathtaking treasure that biblical wisdom offers, how we are to practically pursue it and the abundant blessing we can experience when we realize wisdom’s fruit in our lives. As women, the conquest of our tongue could very well be the longest raging battle we will fight in our lifetime! Though difficult to attain, wisdom and control in our speech is a virtue we must fight for because of its paramount importance, spiritually and relationally. In these sessions, we will explore why this battle is worth fighting, the prerequisites to wise speech, the pitfalls we must avoid and the ways in which we can train our tongues to be instruments of wisdom and grace! We live in a society that is crumbling around us and as believers in Jesus Christ, we should be standing firm in contrast. Yet many of us are being swept away, buckling under our own choices and circumstances. In this session we will study vivid, biblical imagery that instructs us on how to live lives marked by steadfastness, confidence and security! Just as God has ordained specific purposes for our lives, the generation coming after us has theirs. Instead of investing all our time in our own endeavours, as valuable as they may be, we can also be equipping the next generation to fulfill their calling with skill and wisdom. In this session we will explore a compelling example of equipping, transition and support to help us craft our own plan for developing the next ones in our lives. Like all of the resources God gives us, time is a resource we are commanded to steward wisely. Many of us are consuming our time, simply using it up with little to show for the hours spent. In this session we will explore how we can invest time wisely to create beauty, value and lives that are monuments of grace! Good works can be a tricky thing for Christians to talk about. If we elevate them before salvation, we leave people lost in their sin, thinking they can work their way to God. If we elevate them wrongly after salvation, we drive people to the pride or despair that comes through legalism. And if we ignore them, we fall in to a lifestyle of license and thereby, live as an affront to the gospel. By walking through an expositional study of the book of Titus, we will see 10 reasons why good works matter in the life of a Christian which allows us to properly discern the rightful place of good works within a gospel of grace. Ready: Will God Use Me? There is no more exciting life, than one lived for God’s purposes! But there are things in our lives that can keep us from being an instrument that God reaches for. In this session we will explore what we can do to ensure that we aren’t left on the shelf, but instead are ready vessels that God delights to employ for his kingdom purposes! While most of us understand the importance of building a wall of protection around our children, we can’t forget the equally important task of cultivating the territory within it. This session will encourage you to nurture the beauty within the walls we build so we can capture the hearts of our children and increase the likelihood that they will stay within our valuable protection! Though wildly important and ultimately rewarding, nurturing a family can be full of much that is frustrating and ordinary! This reality can pull our gaze down from what is eternally important and take our emotions and joy with it. In this session we explore biblical imagery that will help focus our gaze on God’s grand purposes in the ordinary so that we don’t merely survive these years, but flourish in them! Biblical narratives teach us so much more than facts about historical happenings, for in them we see what God likes and what God is like through his interactions with humanity. As we examine God’s dealings with some key players in the Nativity account, be encouraged by how God relates to humanity, and be challenged to respond accordingly.